Man on days like this, I wish I had more to say. But I’m tired, medicated and struggling to stay awake. Let me take a seat on this here thinger and try to get my energy up. I am a people watcher. And in SL, I see more of what I saw IRL among the people here. A lot of us…we are all alike in many ways; especially in how we treat ourselves. It may manifest itself differently from person to person, but the base premise comes from the same place. And while some revel in it and/or embrace it, some of us torture ourselves with it trying to find a way out…but not always succeeding. I often see so many of us say yes to the wrong things and the wrong people because of our inner struggles of saying yes to ourselves. So many of us are so quick and able to give the most intimate parts of ourselves to others but then become incredibly stingy and hesitant to give those same gifts to ourselves. Things like trust, awareness, time, affection, care, love, respect and validation; these are all things we tend to give in hopes of receiving them from others but are so quick to deny ourselves. We rationalize how if we have this person or that person or any person in our lives that we can only then be happy/feel complete/be whole. But in the same vain, we’re also a people that will uplift and try to instill those same values in our friends who may be suffering as we are in hopes that they too don’t fall into that same pit we live in. Not because we don’t want to be alone; but because we don’t always feel worthy of the things we give so freely to anyone else. We say we don’t, but we do. How do I know this? Because when a relationship of any kind (romantic/platonic/familial…you name it) ends, we always go down the list of all the things we did for that person, stating that they didn’t do the same for us. But do we ever stop and say, “maybe if I had recognized that I deserved all these things in the first place, I wouldn’t have allowed for this to happen to me?” Probably not. And that’s where the say yes journey should begin. And I don’t say this to sound like a jerk or bitter or anything that denotes anything other than reality. We have to treat ourselves better. We have to look into ourselves and figure out who we are, what we want from ourselves and what we want FOR ourselves before we can inflict those expectations on someone else. We have to know who we are and what we really want so we know what we are willing to accept and put up with; what we truly deserve: happiness and fulfillment. But it starts with looking at yourself honestly and starting to really strip away the layers to get to your inner emotional meatiness and then working on figuring out the rest. I’ve been on this journey for a while now; learning more about who I am, what I like, what I don’t like, what I want, what I deserve and just what I’m willing to put up with in order to achieve it. It’s been a hard journey and it gets lonely at times. But by saying yes to myself, vowing to myself to view myself better and love myself better, I’ve been able to say yes to myself more instead of saying it to the wrong people, situations, ideas or things. Just a little food for thought on this Wednesday afternoon. 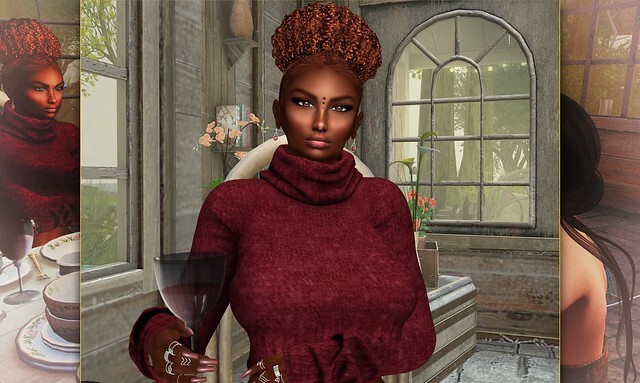 My assistant, Carlotta, and I found this adorable little restaurant off the road toward the vineyard and decided to give the local fare a try. The waiter offered their homemade house vintage for us to try. Delightful, I must say; simply delightful.